If you are thinking about opening an Etsy store to make some money from your craft, but are a little nervous about how to start, help is on hand! We'll walk you through every step of opening an Etsy store and share with you some tips and tricks for getting you off to a flying start. Before you start, make sure that you can sell what you plan to make. We know this sounds odd, however, if you are using rubber stamps, some rubber stamp companies don't allow you to use their rubber stamps to create items to sell, so you will need to check out their angel policy or end user agreement. You also can't sell items using trademark images, so you would not be able to sell, for example, any Disney inspired work. Also, check out Etsy's page about what can and can't be sold. The other thing you'll need to get started is an email address. So, assuming everything is fine so far, we're good to go! In the next pages, you will see what you need to do to open an Etsy store. Navigate to the Etsy home page and click on the 'sell on Etsy' link. In the center of the page, you'll see a button inviting you to open an Etsy store. Click on this, and you'll be taken to a box which gives you the opportunity to register or sign in. Click the register option and enter the information that you are prompted to provide. You'll be asked to enter a username. This isn't your store name; this is the name that will be attached to your account. You will enter your store name later. You will now be asked to set your store preferences, which include your country and currency. You can change your currency option later, so don't worry too much. The home currency of Etsy is the US dollar. However, Etsy has a currency converter, so shoppers have the option to see the price of something in their currency if they are outside of the US or in dollars. Some international sellers choose to price using the dollar, but this is something you can adjust later if you want to. You will see that Etsy also invites you to say what your end objectives are, for example, if you want to make a full time living from your store. This doesn't affect how you set your store up, so check the one that's most relevant to you. And now it's time to choose your store name! This is when it starts to become real—however, be warned, there are a lot of stores on Etsy, and your chosen name may well have already been registered. Etsy does not allow the same store name to be used twice, which makes sense, but also store names of closed stores also can't be reused. So you may need to be a little clever about how you choose your name. If you need help choosing your store name, there's a helpful blog post here which will give you tips for choosing the perfect store name. Your store isn't live yet. Your store won't be live until you choose to set it live so the listings you are adding now won't be seen by any potential customers. This is good because it means you don't need to worry about getting everything right the first time. There's an art to listing products to sell on Etsy, and it takes a little practice! The first thing you'll see is that you can add five photos to show your products. If you have five photos, use them all. Remember, a picture tells a thousand words, so really use your photos to show people what they need to know about your products. Make sure your photos are light and bright. Take a look at the products featured on Etsy's homepage. You'll see the quality of photos that you're up against. If you need help with taking photos for Etsy, you'll find a lot of information online. A low-cost Etsy product photography course might also be a great option. You will see that the title looks like a list of keywords—and that's exactly what it is. The titles on Etsy product listings are written for the Etsy search engine. So they look odd to the human eye. Take a look at some of the products on the front page when you search Etsy, and you'll see what we mean. If this seems a little confusing, don't worry! Practice makes perfect, and you'll find a lot of help online. There are many online Facebook groups which provide help and support (some are better than others. You will also find services that will help you get your store up and running. We don't suggest outsourcing all the setup work because that way you'll never get used to it. If you need help, We'd suggest the Etsy forums, or check out a service like this which will help you do your listings but will provide a step by step guide showing you how to do it in the future. The Getting Found section of the Etsy Seller Handbook also provides invaluable information. When you are entering your listings, check that your pricing is spot on. Many new handmade businesses fail because their prices are either too low or too high. Now your first listing is ready; it's time to add some more. You can set your store live with as many listings as you like. However, stores look busier and more attractive with a few products for sale. Etsy suggests 20 products, however, that is up to you. When you have all the products you want to be listed, ready to be set live, you'll be asked by Etsy to provide payment information. This is so they can pay you when you sell things, and so you can pay them for listing fees (20 cents per listing) and payment processing fees plus their commission. However, before you press publish, there's some more information to add. While this isn't necessary to set your store live, you will find that Etsy provides you with a place to add your store policies (this is now really easy because you'll find some standard policies which you can change or tweak to your requirements). Make Your Store Truly Yours! 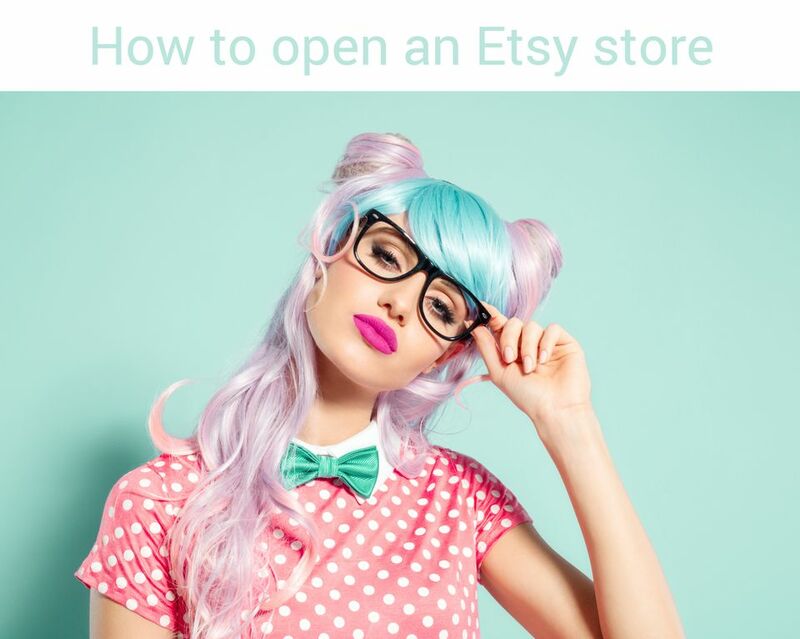 You will find that Etsy provides you with ample opportunity to make your store yours. You'll see that there's a large banner, plus an About page where you can tell your story. This is essential if you want to make your store stand apart from the crowd. In April 2016, Etsy updated the store design to give sellers much more opportunity to personalize their stores. You can now use the large banner and About page to tell your store story using text, photos, images, and video. This gives you a wonderful way to show your potential customers more about you and your product, including how you make them and to demonstrate why handmade products are so special. When you finally press the publish button, remember that this is just the start, not the end! Your store and your products will need constant work to ensure your products get found and customers love them. Etsy is not a 'publish and forget' platform; you need to work at it. However, there's plenty of help and support available to help you build a successful handmade business.